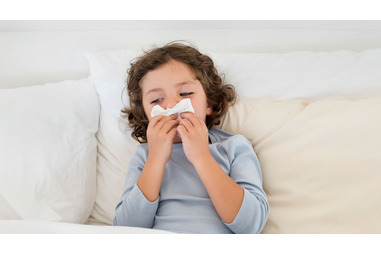 Runny or stuffy nose, sneezing, sore throat, head congestion, cough, and low-grade fever are some of the symptoms of common cold. Many causative or triggering factors, such as genetic tendency, bacterial or viral infection, change of weather, pollen present in the environment, and stress, are responsible for these conditions. Low immunity is the main causative factor which leads to frequent complaints of the common cold. The health of the immune system is greatly impacted by a person’s emotional state, the level of stress, lifestyle, dietary habits, and nutritional status. A weakened immune system leads to infection, and this infection in turn damages to the immune system, which further weakens it. 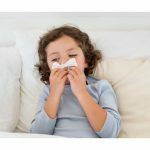 This is a repetitive cycle that makes it difficult to overcome the tendency towards the common cold. For all the above complaints in children and adult, homeopathy offers excellent solutions because homeopathic medicines work at immunity level and help the immune system to improve. This prevents frequent infection like the common cold from affecting you. Homeopathic medicines are easy to take, without any side-effect and safe for small babies, pregnant woman, as well as elderly people. 1. Arsenicum-Album: This is one of the best medicines which acts positively on every organ of our body. It is indicated for the frequent colds and when the person feels chilly, has a watery, thin, and excoriating discharge from the nose, sneezes a lot, and nose gets completely blocked. When the complaints of cold worsen after midnight, by lying down, and in open air, Arsenicum Album is recommended. The affected person may feel better in indoor and may want lots of little sips of water. Associated restlessness and anxiety are also very peculiar symptoms that indicate the need of Arsenicum Album. 2. Eupertorium-Perfoliatum: Eupertorium-Perfoliatum is also an effective remedy for frequent cold and flu. This remedy is required when the affected person suffers from a terrible bone pain, and he just wants to be still, at rest and feels very thirsty. Also Read: Why Adults Are Frequently Affected By Colds? 3. Kali Bichromicum: If the nasal discharge appears thick, ropy, tough, elastic, and greenish-yellow, then Kali Bichromicum is recommended. Also, when the patient suffers from a loss of smell and a lot of difficulty in breathing, this remedy is highly effective in providing a great relief from the discomfort. People, who have a frequent cold tendency, who are fleshy, fat, and light complexioned need Kali Bichromicum to get relief. All symptoms generally worsen in the morning, so it calls for this remedy for relief. 4. Kali Muriacum: Kali Mur. aids in cleansing colds, sinuses, and coughs that are accompanied by white mucus, so it is recommended when the affected person feels nose being blocked, has thick and white nasal discharge, a gray or white coating at the base of tongue, and the symptoms that worsen mainly in the mornings. Children who are prone to threadworm and other intestinal infections and whose tummies get upset on having rich/fatty foods respond well to Kali. Mur. 5. Tuberculinum: Tuberculinum is also one of the effective medicines for cold. This is indicated for people who are very sensitive mentally or physically. People appearing very tired always, who have an aversion to work, and those who constantly want changes are likely to respond well to Tuberculinum. If the person is affected by a slight change in weather or exposure to cold and his expectoration is thick and easy, then in such condition tuberculinum is the indicated medicine. 6. Pulsatilla: This is also one of the remedies which act on every organ of the body. This is an effective medicine for treating colds, particularly when the affected person suffers from a lot of thick yellow or green catarrh. When the affected individual suffers from cold with a loss of smell and feels better in the fresh air, Pulsatilla is recommended. It also offers comfort to the kids who turn tearful due to the cold and want to be with Mom or Dad. This is the brief description of homeopathic medicines indicated in the frequent cold. 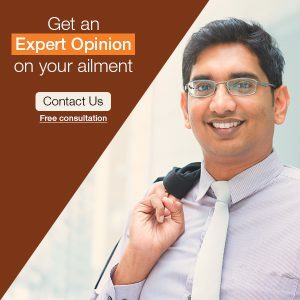 If you have any more queries or you are suffering from any chronic disease, do feel free to contact us and get in touch with Dr. Rajesh Shah’s associate doctors at Life Force Homeopathy. Please add your valuable thoughts in the comments section.